The cornerstone of the Youth Shield Speed and Agility program is speed enhancement. Although speed is associated with genetics, genetics are not the limit. Speed can be developed through proper training and scientific principles. Under the guidance of the experienced Youth Shield staff our program will offer age appropriate training that will concentrate on the athlet's ability to move quickly and efficiently. Proper running mechanics are strictly taught as well as drills that will enhance first step quickness, stride length, stride frequency, change of direction, acceleration and deceleration. Jiana Jin In his 19 seasons at the University of Toledo, Jin has established himeself as one of the top jump coaches in the country. He as trained 23 Mid-American Conference Champions. 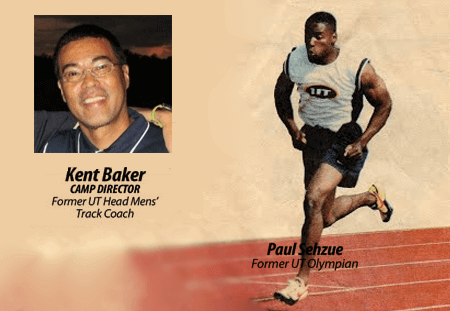 Rhoan Sterling Former UT Rocket Sprinter, MAC Champion and NCAA Division 1 All-American has an extensive background in athletics. Rhoan has trained with the best athletes, trainers and coaches in the world.